(No. 5) So that’s what happens to Battery Park City in a Hurricane! Battery Park City has only been existence shy of celebrating its dirty 30. We’ve lived through some pretty tremendously historical times.Â Yet, most of us before this weekend hardly knew of the dangers we faced should our lovely esplanade meet its nemesis Hurricane.Â How many of us knew what happened in 1821? Thank goodness for historical records and those crazy people that keep them! Our neighborhood didn’t need to wear a meat dress, but we sure didn’t win the wet T-shirt contest either. (No. 3) If the apocalypse ever dawns on Battery Park City — Hudson Produce will still stay open. Cause someone’s gotta sell the RedBull, and someone’s gonna buy it for 3x the MSRP! (No. 2) Rain, Sleet or Snow — when a dog’s gotta go, a dog’s gotta go. Was this Zone A or Zone Pee? The pooper scoopersÂ may have fled but that didn’t stop dogs from evacuating all over the evacuation zone. (No. 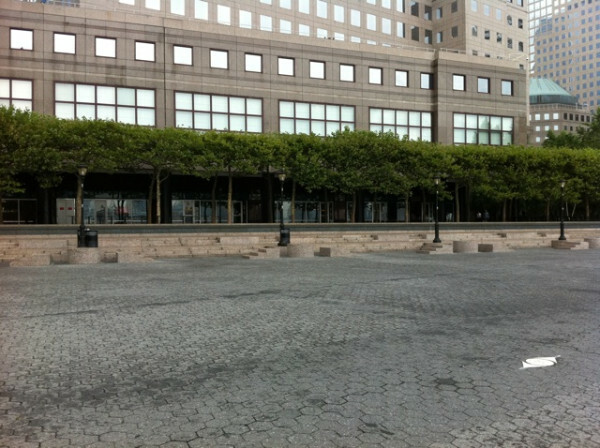 1) Battery Park City has no parking problems when we all evacuate. Like a scene out of a zombie movie, Sunday was every Battery Park City car owners dream. Too bad no one was here to experience it! Evacuations were called amidst concerns of major storm surges that would cause massive flooding, forcing power outages in our area – on top of a lack of public transportation to our largely isolated neighborhood. However, all restrictions were lifted today at 3pm. â€¢ Power and steam pipes have not been shut off as initially planned by Con Ed. â€¢ Elevators at some buildings have been restored including the Liberty Buildings, 1 Rector Park; Gateway Plaza elevators still off. â€¢ Residents of all buildings in Battery Park City should return to their homes. â€¢ Â West Side Highway and FDR is reopened. â€¢ Brooklyn/Battery Tunnel is open for those who want to re-enter Battery Park from the Brooklyn/Queens area. â€¢ MTA is still shut down according to Aaron Donovan Wont’ reallly be able to start the process until it is completely safe. Still outstanding concerns of flooding/sea water effecting underground tunnels. Too early to pronounce whether public transportation will be restored in time for Monday’s rush hour. 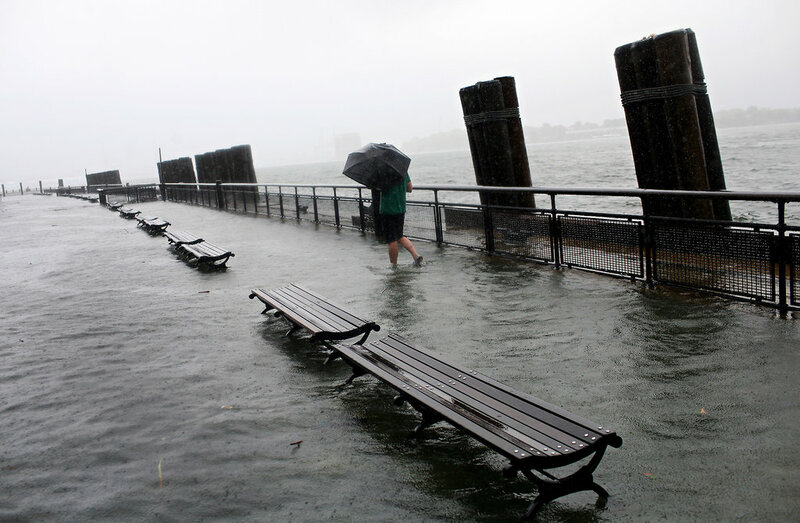 â€¢ Area is still very windy, but not unusually windy for Battery Park City, flooding not seen on both ends of South End Avenue and on areas closest to West Side Highway for those who want to return. 1. Evacuation of the neighborhood is mandatory by Saturday, August 27th by 5PM. 2. MTA Public Transportation will be suspended by Saturday, August 27th by Noon. In the event of an evacuation order, the City strongly recommends evacuees stay with friends or family outside evacuation zone boundaries. However, for those who have no alternative shelter, the City has identified hurricane shelters throughout the five boroughs. To ensure the most efficient use of resources and to make necessary parking available, the City will ask all evacuees seeking public shelter to report to an evacuation center. These centers are located in all boroughs, are easily reached via public transportation. Some centers provide parking facilities. Each evacuation center is associated with several hurricane shelters in what is known as its “solar system.” There are currently 65 such systems in the City, each of which can accommodate an average of 10,000 people. Evacuation centers help ensure the number of people in each is roughly the same, eliminating potential overcrowding or underuse of particular facilities. At the evacuation center, evacuees will be assigned to a particular evacuation shelter and be transported by bus or van. To find out the location of your nearest evacuation center, use OEM’s Hurricane Evacuation Zone Finder to locate your evacuation zone, and the system will direct you to the proper facility. During an emergency, you can also obtain this information by calling 311. Hurricane shelters provide basic needs for those with no other place to go. Shelters are selected based upon the safety of their location (outside of Category 4 hurricane inundation areas) and proximity to evacuation centers. Certainly, service animals that assist people with disabilities are allowed in hurricane shelters. Ideally, you should arrange to shelter other pets at a kennel or with friends or relatives outside the evacuation area. Legal pets with proper identification will be admitted into shelters with their owners. Owners should bring cleaning and food supplies with them, as well as containers and leashes. Officials will notify evacuees when and if it is safe to return to their homes. Since hurricanes are highly destructive, residents may not be able to return home for weeks. 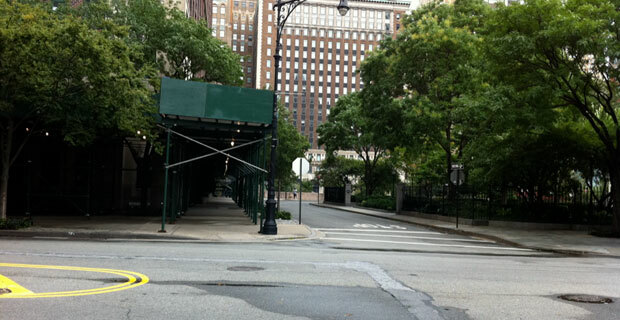 MANDATORY EVACUATIONS ORDERED FOR BATTERY PARK CITY. 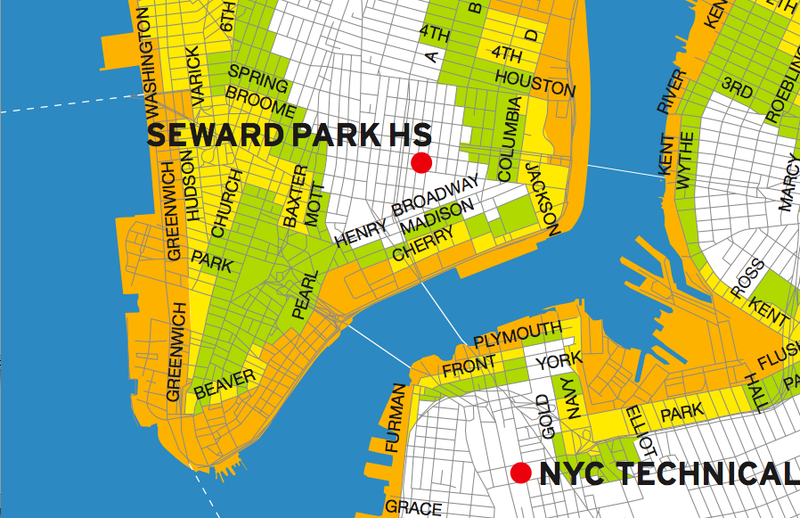 At a press conference Friday, Mayor Bloomberg ordered a mandatory evacuation for all residents living in low-lying Zone A, including our area, Battery Park City. 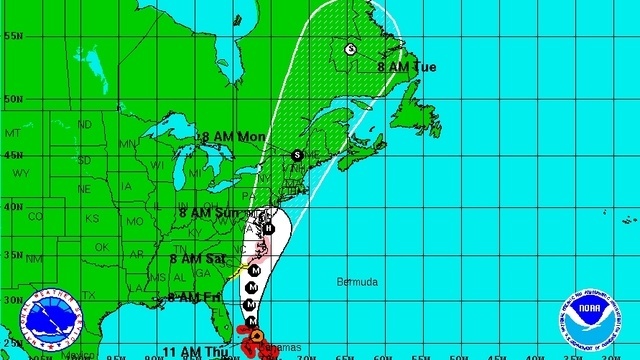 The storms hurricane path is expected to travel faster than initially expected. This is the first time the city has ever called a mandatory evacuation in New York City history. NYC.gov was overloaded and shutdown Friday morning as three times average volume in traffic hit the site. The website received 4.3 million hits, shattering the previous record of 2.2 million on January 26th. The mayor urged New Yorkers to stay indoors from Saturday 9pm to Sunday 9pm to avoid injury from falling glass, tree limbs and blowing debris.